It is day 12 everyone... Great to see engagement and participation! Days 0, 1, 2, 3, 4, 5, 6, 7, 8, 9, 10, 11 participation is now CLOSED! What's your favorite subject to read daily and How many articles you read and Who is your favorite author? My favourite subject for reading is politic news . I am interesting with politic in my country and in whole the world . My favourite daily is "The left bank" "The New Newspaper" "Grany" and many others . Maybe I don't have some favourite or unfavourite authors . Because every of them gives information from own side and depend on own politition views . And it is very personal. Truth is always somewhere between . I read voraciously (my username might give that away) and will consume every subject under the sun. My current book is about how dictionaries are created (Word by Word), the last one was a contemporary teen lit about a 17-year-old webcomic creator (Eliza and Her Monsters), and the one before that was a graphic novel about a Vietnamese-American immigrant trying to understand her parents (The Best We Could Do). On the internet, I love to read travel stories (that's the roving part of my name), the kind of articles that go beyond top 10 lists and try to dig into the soul of a place and its people. Steemit is wonderful for this, and for a sampling you can check out those curated by @steemitworldmap (also, @travelman, @anomadsoul, @diabolika, @world-travel-pro and many others). I probably read about 10-20 travel articles daily, which means I get to explore more places than I will ever be able to visit personally. But, in my heart of hearts, my favorite subject is fantasy. Escapism in its purest form, because it lets you travel to a whole different world and come back with more understanding and empathy for our own realm. And here I honor my favorite author, the late and great Sir Terry Pratchett whose Discworld mirrors our own in ridiculously hilarious ways. There are also some great fantasy shorts to be found right here on Steemit (check out some of the authors curated by @sft). Thank you for the mention! We have every curation we've done archived in the SFT Library, if anyone would like to browse. I read all day, whether it's on @esteem, or a novel, or a news article. But I guess the only thing that I read consistently every day are the inspirational pages that I read every morning to start my day with, by Marianne Williamson, or other favorite authors that speak to my soul and give me a good start to my day! Thanks...it's my favorite way to start the day! I have to say my favourate subject to read is a Hong Kong local forum named "LIHKG" which have so many different topic on there, you may treat it as a Hong Kong style Reddit. I in terms of the post there, I read so many a day which I cannot count. And recently I love some zombie story post over there. The favourat author of mine would definitly be 平山 夢明 a Japanese author, I am not sure are there any English tranlated publish, if there are, I do recommend everyone to have a look on it! Very Happy Holidays to you too ! Right now I am enjoying very much the #Japanese Coloring books ♦♦ I loved visiting the Oriental Gardens in California (US ) with their tiny Bonsai trees. Every day I read more than 100 articles and comment on all the readings. Most of all I like to read short stories from life. It's very difficult to choose someone. Most of all I like reading articles @tanata. Her articles on the art of photography are very instructive and interesting. In addition to @tanata, I really like reading the articles @eric-boucher, @swissclive, @beanz, @javybar, @good-karma, @tradewonk, @czechglobalhosts, @abh12345, @future24, @majes.tytyty, @papa-pepper, @stellabelle, @acidyo, @leylar. Since July this year I've been reading Steemit. I'm a new convert to Steemit, so I have much to learn. That's why I read many posts and comments. My favorite subject is “life”. I’m happy to learn different lives. I read 10-12 articles a day and my favorite author @velimir. I read about drawing process that artists write about here and science, about how interstellar adventures work and theories aabout living outerspace. Nature and health as well. These are my favorite topics. Its just revolving on wellness as a person and imagination and curiosity. I like inspirational/motivational posts, poetry, photography with stories. Include also life lessons, a bit of travel blogs and everything that uplifts my soul. Everything else follows. I read my Bible daily in the mornings. In the evenings I like to settle down with a good novel on my Kindle. I have a fascination for anything set during WorldWar II. I also read read all kinds of articles relating to every subject you can think of. The truth is, I'm a bookworm! This is a really nice question, it's almost as if it's a trick question. Anything to do with steem, or that is found on steem to keep it real with everyone. Steem intself, cryptos, or even something new. 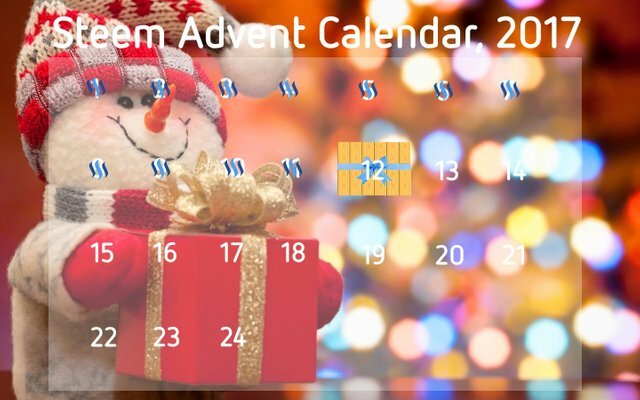 Steem is so rich with information, it has so many portals to view it through whenever or even wherever. The system built around it really ensures that quality material is produced and shared. Some days, I'll read a few posts if I'm busy. But if I'm completely free, I literally dive into the steam clouds. I can't give a true number. My favorite author has to be ever steemian out there. Every piece of work on Steem is valuable. Just like every person. I like all the reading, for me they all are important and contribute something, I have several favorites, it is very difficult to name one, I follow and read the work of @ abdullar, @ ace108, @ anahilarski, @ awgbibb, @ doitvoluntarily, @ ericvancewalton, @ meesterboom, @ opheliafu, @ sweetsssj, they all do very creative things. It really depends on my mood and where I am. I enjoy scrolling through the posts on Steemit randomly seeing what's new in everyone's lives, as well as the art, food and photography posts. Away from the Internet I have a handful of authors whose writings I follow. Sometimes I crave a good suspense, other times a tear-jerker, or even a biography. Usually after the holidays I read more than all the other months combined. I call that period the "Winter doldrums" It helps get me to Spring, Lent and all the rebirth that happens when Winter lifts. I agree, Sis! My best reading time is during the Grey season after Christmas. Although being on Steem really cuts into my reading time. Lol! This will be my first year being on Steemit during the Winter doldrums. I know you're right!!! Before I start working for 8+ hours of programming tasks, I never missed to check out current events from http://www.pressreader.com/ on my web browser. In average, I checked/read 3-5 news articles, mostly published by Philippine Daily Inquirer. On steemit, my favorite subjects are travel, photography and tutorial. Lately, I spend 2-4 hours on steemit so with this, I can read 4 travel blogs, checked/browsed n number of photos and few tutorials. Favorite travel steemit blogger has to be @sweetsssj. On photography, I usually browse photography posts from steepshot. Favorite steemit photographers are @juliank, @digitalis, @allmonitors, @axeman, @pixelfan, @daveks. For tutorials, it has to be @themarkymark. I read many blogs every day and photographic articles. I like to read about the trips that people make and how they tell their experiences. The same with the photos, I love seeing what they have captured with their cameras. I would say that I read about 10 publications a day on these topics. And my favorite author is @surfermarly, although she has taken some time off from steemit. I like trips and photos too! Tenemos mucho en comun! My favorite subject is on stories. Different kind of stories but interesting ones. I do read more than 10 articles per day. Let me say more than 10 because I do read more but not less than 10 and my favorite author is @meesterboom I always love to read his stories. I have set a bot to give me notice as soon as he post. I won't receive it only when I am offline. The reason why I love his stories is because he always makes it lively and you will definitely interact with him on the post. Funny and will make your day. Well for me. I wish i had time to read a lot, but alas i have 5 children. My favorite authors are Margaret Weis and Tracey Hickman, they wrote tons of Dragonlance books from the Chronicals trilogy, Tales trilogy, Legends trilogy and many others (63 titles). Those were my favorite books growing up, i used to borrow them from my grandfather before he passed just to emmerge myself into those fantasy worlds. I also like running across someone "not so up to date" just to see them create an article with info just too old to be worth anything and let them know their info is off.... (Found someone with charts putting BTC at just over $2500).... No i dont flag but let them know they should try harder. My favourite subject is called English because I really like writing and when I read any books, they are such interesting books ,well not the ones that are about weapons the ones that have a mystery in it and when there is a mystery in it I try to solve the problem. when I finished solving the problem I read the next page and then when the problem is solved iI get it right!!!!!!!!! but sometimes I don't. I really like to have spelling tests so then what ever spelling I get wrong I can learn them and speak those spellings, it also helps me write my sentences right and make sure that they make sense. I first didin't get what english was or what it does, so when I was in 3,4,5 and in year 6 I started to know what English was so then I started to like English and then I tried to work hard in it. It is fitting that the list is topped by a Russian. Fyodor Mikhaylovich Dostoyevsky was a great novelist, essayist and philosopher who wrote some of the greatest works ever written by man. He is considered one of the greatest and most influential writers ever and I love his writing to distraction .His two masterpieces -- Crime and Punishment and The Brothers Karamazov are so beautiful that I cannot do justice describing them. So find out for yourself. I am a Computer and technology enthusiast. So I like to read about computer and technology. Because I wanna know how the computer actually works. When It comes to the author I can not tell you about any author as you know as computer geek internet is everything. I Am reading a book about C++ programming by Deitel And Deitel. I liked him most, because I have read many books but I could not understand anything. 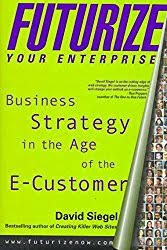 When I Read the Book by deitel It was so amazing everything you read directly goes into your mind. I am enjoying that book. I hope that I will be a good computer scientist in future. Well I have to say that I love the post from @luzcypher, as it encourages the art of music and singing through contests, I spend my time listening to the voices of those people who do not know, but somehow sometimes I receive to transmit emotions through his voice , sadness, joy. That's what makes the music, an art of soul and @luzcypher makes my stay in steemit this full of quality time. Normally i read all the post published and videos of our dear colleagues who dare to be partakers of the contests. My favorite topic is music and art. Subject life and hope, author god. And that would be the bible. 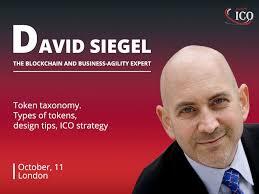 While favourite subject to read at this time is about crypto currency and I have read almost 5 to 6 books of "DAVID SEIGAL", he is the great writer and written full display of crypto urgency. If we talk about articles than I have read its all article ,even I have invested in his ico pillar and got a profit of 5000 dollar in its initial days. Even he also told about the topic of science in brief in his book on those topic which helps one in straight growth of an individual in science and computer line. Man like him has bring great revolution in world of crypto currency. Well he is a great man , how much we say about him is less. So , I can't describe him in words more..... , A small tribute to big mind. I love checking into this Facebook group called "Awesome women with ADHD". Having ADHD myself it started to feel like home pretty fast. I hardly ever post or comment there myself, but love being a "fly on the wall" in human pshyche, so this odd choice is my favourite read, they are my favourite author. The topics can vary from silly little day to day things, to deep and/or dark secrets, it really is a joy to read, purely because it is so random. for now I reply in a whole that I like to read about psychology and health and healthy food. I try to improve my life and develop my own personality, rising the quality of my being. And..maybe it is not very modest but I really succeed because I see changes in my nature and my minds. Self-education plays a great role in life because we can choose what our soul likes not what is profitable or necessary for job or bussiness. Not so long I have discovered an absolutely bright man who is a doctor and a writer now. He shares a revilutionary point of view on medicine, its goals and methods and it is exactly what I was seeking for. I like brave people who are not afraid to say an opinion against others and the whole world and he is a hero for me. I tend to prefer reading human interest and personal growth stories... coming from old fashioned social blogging platforms popular 12-15 years ago; that's what we did back then. I'm less interested in "news" and "facts" because because to me Steemit is a social site, and I am not that interested in "socializing" with news stories... I'm interested in people, and what they are doing in the world. I probably read and curate 30-50 pieces a day... it just depends on how many gaps I have in my work schedule... favorite authors? Well, @kus-knee "the Old Dog" always comes to mind; @tarazkp is another favorite; and I really enjoy @enjar's amazing comments around the place... possibly Steemit's best commenter! I read the Bible Everyday...! My favorite subject is history, I read about 10 articles daily and my favorite author R.G. GRANT. Apart from Steemit, I am crazy about new technologies so I am reading the amazing book by Andreas Antonopoulos : Mastering bitcoin : Programming the open blockchain. Even though there are lots of good writers are in steemit like @good-karma, my vote is going for @nairadaddy (he has different faces) and @surpassinggoogle because, i think, they are doing some good services to make motivational and improvement for little minnows like me. He is consistently working for making good things for steemians, every articles of his, teaching something better to minnows. Everyday i am reading 5 to 10 posts continuously from my followers, from that, @nairadaddy's articles are being very initiative,creativity and motivational one. His recently created @hug-challenge and @air-clinic projects are has being great way of spreading love, kind,making health awareness, giving health related services and making very fun and intresting the steemit platform. Christmas is the perfect season to reach out to others when laughter and good tidings are in the air. Here’s hoping that your Christmas will find you @good-karma among family and friends, sharing the spirit of the season. My favorite authors are classical writers, such as: F.M.Dostoevskij, N.V.Gogol, M.A.Bulgakov, which told about treasure of soul and how to live in Russia and that everything, that happens with you is depend on yourself. He is my favorite author outside of Steemit! When is the right time to post articles in steemit to earn a lot of revenue? Are there any tips? Harry Potter The first book and I remember with a lot of love. Still, I did not start the saga for this book. My first Harry Potter book was "The Prisoner of Azkaban" and you were 6 or 7 years old. Why? The truth, I do not remember. But I liked it so much that I immediately ordered the previous two. In this book we meet all the characters we will love and hate in the following books and J. K. Rowling presents us in a fantastic story. I do not think anyone cares to be aware at that moment of the depth that led us to penetrate this saga. Maybe it's the simplest of the seven but I can not say anything bad about him. I love it. For the last month I've been reading Steemit. I'm a new convert to Steemit and have much to learn. I read many comments and have done reasonably well. and Happy cristmas in advance. This one is not closed! You can post about what you like to read for Day 12! seriously thank you very much. With whatever time i get from my work i spend reading fiction/story post by @adsactly he always comes with good content on his post. Apart from this i also mug up with useful and helpful posts from @firepower @cryptoctopus and obviously @good-karma and @utopian-io. Nice post brother.. Thanks for your helpful post. And once you're used to reading, it is very difficult to actually give it up. College life was more about non-academic books (Osho, Swami Vivekananda) and then I gradually moved into the travel domain. Among Indian authors, Harish Kapadia is one of my favorites and among the foreign authors, I have enjoyed the works of Joe Simpson, Anatoli Boukreev, Messner et al. My favorite topic at the moment is learning how the steem blockchain and crypto in general work. I mostly read @dragosroua's articles which he posts at least 4-5 times a day. Every day I see coinmarketcap, steemit feed @kingscrown, @jrcornel, @kevinwong and others, then I see a newspaper about economy Portuguese, my bitshares wallet and then a comic blog ainanas.com. I normally read about Cryptocurrency, trading, global economy, sports. My favorite subject to read about has always been ANIMALS! Ever since i was a little girl I have written and read a lot about animals. @amavi has some amazing content regarding animals. I draw a lot of inspiration from her. Thanks for the suggestion! I LOVE animals too! My favorite subject is politics, i read more than 10 articles daily. Favorite author george orwell. On steemit @sauravrungta is my favorite author. about 27 or more, spend more time on steemit than me in church(sounds too good to be true me too i don't know how i do this) 😁 😁 i think its the power, too strong and my determination to Meet up with all activities, since I'm a new steemian on the platform and want to catch up with all the things i don't know and to no more and do more. I like to read finanace related articles, I usually search on Internet for such and go with flow but one guy I would read daily is @financialjerk here on steemit, I really liked his content. Though I read so wide that i sometimes forget my authors, @banfield and @aggroed are some of the authors i can never forget . I really like to read @gavvet articles. He his glorious knowledge man in steemit platform. I read on a variety of topics. I'm fairly interested in steem and cryptocurrency so those would be my primary reads. I'd say I'm usually under 10 articles read per day. Philosophy or spirituality , in that area my favorite author would be 'OSHO'. Changed my perception, made me an individual and a better person. Currently, my favorite subject is cryptocurrency mining. I am highly passionate about it and want to get involved as soon as possible. I am researching hardware, cryptocurrencies to mine and other elements needed for building a fully operating mining rig. Investigating which GPU to choose for the rig is one of the hardest things right now for me, so I have to figure that out by constantly reading. Aand my favorite author is Robert Kiyosaki - "Rich Dad, Poor Dad" - Teaches you the foundations of financial management and so much more beyond that. I like life because what other people see and do I find interesting. I don't have a lot of time but try to read 5-15 posts a morning. My favorite author...Gary Larson....What? He's not an author? So, I like sick & twisted comics! My favorite subject to read daily is God! On Steemit my favorite topics to read about are photography and travel. There are many inspiring photographers who share the beauty of the world with us and I admire their techniques and points of view. It is great to join the different photography contests too. I think on average I read 10 to 20 articles daily. Some of my favorites are @shieha, @eyegasm, and @daveks. OK, I'm going to go with a fellow Canadian on this one, because I have a lot of favourite authors, and I will say @JoshSigurdson from World Alternative Media. 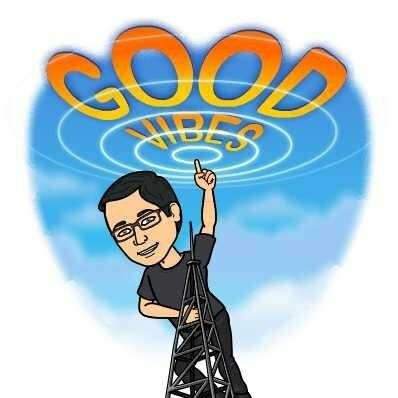 Articles and videos are very thought out, very informative, and the guy works like 18 hours a day to bring us the best information and updates for the world of Crypto, politics, health and other topics that concern the lives of people. He works hard so that we can have information that is not censored by government agencies or that tries to propagate propaganda in order to program and brainwash us. The WAM slogan is a motivation to seek out truth within self and to be the change we need in our lives. My favorite subjects are in science, tech and art. I follow apps such as futurism, which gives me a daily feed of what is going on, whether it relates to space, biology, technology or crypto currency. It is often mindblowing what humans achieve on a daily basis, and a lot of these achievements are sadly overlooked by most. On steemit, i mainly follow artists and news on cryptocurrency. I love the discussions going on, though this could be much more widespread. Have a wonderful Christmas people! @good-karma will we reply here our challenge post? I read on Steemit everyday. My favorite authour would be @traf or @trafalgar . By reading these posts I am sure to have a good laugh and it's a nice contrast to a lot of other material I read. So of course, I've enjoyed reading a lot his books. Enjoyed "The 21 Irrefutable Laws of Leadership", and "Intentional Living: Choosing a Life That Matters"... which has a High Rating of 4.7 at Amzon [that's pretty good, for having recv'd over 200 reviews ]. The First one of his I ever read, 'Becoming a Person of Influence' -- well, suffice to say I appreciated it so well I read it over & over ! I really like to read articles on motivation and life experiences. Thanks for sharing. Hey @good-karma thanks for such wonderful contest. I'm quite new to steem and still getting a hang of it. It's somehow the only topic I feel I'm versed and will be happy to share. As my profile name says I love travelling. While motorcycles are my first love; travelling is what keeps me going. So either I'm traveling and when not I'm reading about it . I don't have famous authors to credit but real travellers travelling and sharing the tales. We have websites like bcmtouring.com and xbhp.com where people post details on route to places to visit to even places to eat. Alternatively I follow Alex Chacon on YouTube. He's an avid Traveller/ a YouTuber creating magic with his GoPro. Thanks again for creating this contest. Cheers. Are we talking about on steemit or off? I read from any number of my haiku books daily, randomly picking from any of the old Japanese masters depending on my mood. On the internet, I tend to read anything Gruber posts at the daringfireball. On Steemit, I try to read daily from everyone I follow, tho that is tricky since I follow so many. @d-pend's wonderful poems are high on my always read list, as are @violetmed's great posts. I like to read #asksteemit blog post providing @acidyo. He clearly showing what kind of advantages here and how to solve our problem in steem platform. He giving genius service to new comers. 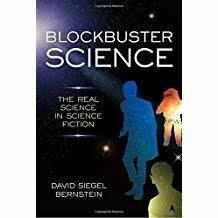 I like to read up on nerd and geek culture and stay abreast of genre media developments in books, tv, movies, video games, interactive media, etc. However I do check in with two youtubers on a daily basis- Funhaus (a subsidiary of Rooster Teeth), and Redlettermedia. merry christmas in advance sir! I enjoy reading abut technology news, especially about innovations from Apple! I read daily like 3 or 4 articles. And my favorite author is Daniel Eran Dilger! I read "daily wisdom" by heartlight. I guess wisdom is my favorite topic but I do not have a favorite author. My favorite subject is to just get inspiration from other people and are you thinking that you are my favorite author is your's ? I have read many articles of surpassinggoogle but that i loved must is the post of surpassinggoogle about his mother dead that's very motivational and imotional.